Crispy French fries are ready-to-eat foods that have been blanched, frozen, fried, etc., and have a crispy taste compared to common French fries. Deep-fried is an important process to form a crispy taste. However, the high-temperature frying temperature is high, the fat content of the obtained product is high, the nutrients of vitamins are destroyed, the degree of oxidation is large, and harmful components such as acrylamide are easily produced. Microwave drying machinery vacuum frying in the vacuum state with oil as the heat transfer medium to dehydrate the material, can significantly reduce the dehydration temperature, isolate the air, thus avoiding the various deterioration caused by oxidation, and can preserve the fruits and vegetables to a greater extent Original color, aroma, taste and nutrients. 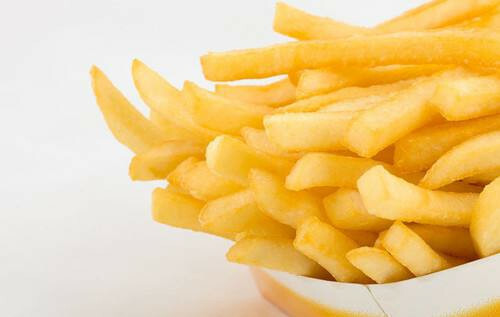 In order to better exert the effect of vacuum frying, a fries machine is often required to perform a pretreatment process such as blanching and freezing. With the adjustment of the structure of rations in China, the deep processing of potatoes and the research and development of related products have received more and more attention. Due to higher requirements on oil content, product taste, etc., some composite potato chips or traditional French fries are subject to varying degrees of development. Due to differences in composition and composition of different varieties of potatoes, the processing adaptability of foods is also quite different. Deep-fried potato chips are popular among consumers because of their crispy and delicious taste, convenient taste, and suitable for both young and old. With the growing popularity of snack foods, the consumption of fried potato chips is also increasing. However, due to the large differences in the equipment, processes and production conditions of the production enterprises, the quality of the products on the market is not uniform. The effect of frying time on the fat and moisture content of French fries is shown in Figure 4. As the frying time is prolonged, the more water volatilizes the fries, the lower the moisture content, and the more the fries are sucked, the higher the fat content.